54 ceramics created by 18 female ceramic artists will be exhibited at Museum of Fine Arts and Ceramics, Jl. Pos Kota, West Jakarta.
" These 18 ceramic artists are female and came from different cities in Indonesia, such as Jakarta, Yogyakarta, Surabaya, and Bandung"
Museum of Fine Arts and Ceramics Unit Head, Esti Utami said exhibition will be held on April 21-May 2, 2018. 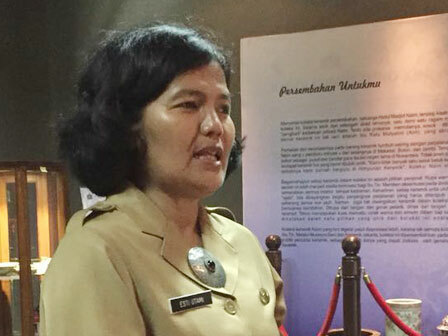 Her side holds this exhibition to commemorate Kartini's Day. "These 18 ceramic artists are female and came from different cities in Indonesia, such as Jakarta, Yogyakarta, Surabaya, and Bandung," she mentioned, Thursday (4/19). She explained, her side will also invite disabled children in Jakarta to attend in this exhibition. Museum staffs will pick up and take them to the exhibition location. "Besides, her side will also hold pottery workshop thus disabled children can directly see the making and they will be guided to make pottery," she conveyed.